What is Solar Net Metering and its important points? Net metering is a type agreement between solar PV system owner(On Grid Project) and DISCOM(Electricity company) to sell excess solar energy . 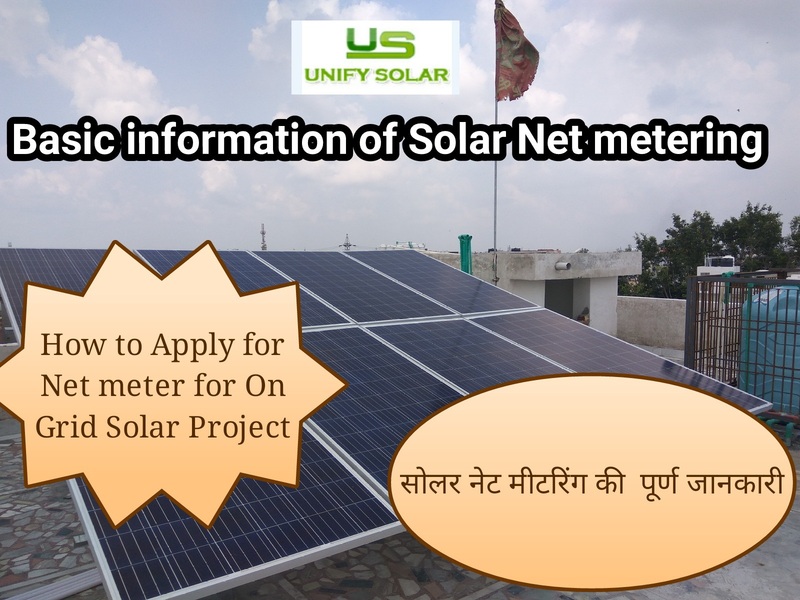 In case Grid tied Solar System produce more electricity than requirement of premises at any time in that case, with help of Bi directional meter that excess electricity will return to Electricity Company. The excess electricity supplied to Grid will be compensated in bill later on. 1. It will be approved only for On Grid or Gridtied Solar (Without battery bank) Solar Projects. 3. All Equipments & instrument must follownecessary standards & guidelines of local DISCOM Company for avail netmetering.